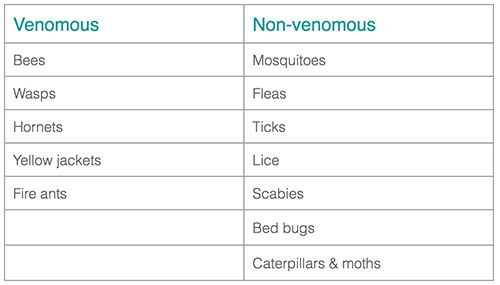 Insect bites and stings can be simply divided into 2 groups: venomous (poisonous) and non-venomous. A sting is usually from an attack by a venomous insect such as a bee or wasp, which uses this as a defence mechanism by injecting toxic and painful venom. Whereas non-venomous insect bites pierce the skin to feed on your blood. This usually results in intense itching, which can be prolonged in some instances. For most people, insect bites or stings cause a mild reaction. Venomous stings usually cause a stinging sensation or pain with redness and swelling of the area. Itch is usually not a concern. In some people who are sensitive to insect venom, a sting may cause a severe allergic reaction known as anaphylaxis. This results in facial swelling, difficultly breathing and an itchy rash over most of the body. This can be life-threatening so immediate medical attention and treatment needs to be sought. 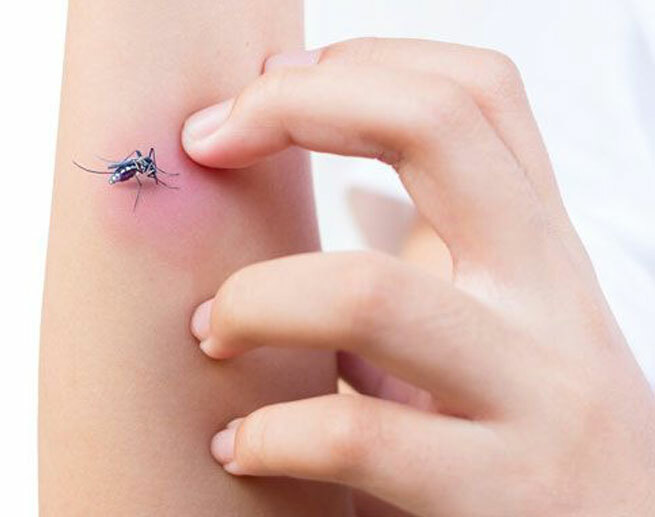 Non-venomous insect bites usually cause little more than an intense irritating itch for most people. The bite may show up as a small raised red spot. It may blister. Unfortunately the urge to scratch usually results in an open sore that may become infected and take longer to heal. What is the treatment of insect bites and stings? If the reaction is mild, insect stings should be treated by first removing the stinger. The site should be cleaned with a disinfectant and an ice or cold pack applied to reduce pain and swelling. If an insect sting causes a severe reaction or anaphylaxis, urgent medical attention should be sought. 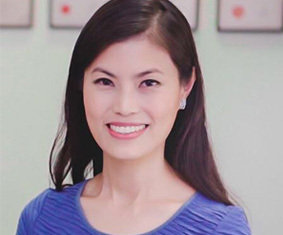 The main treatment aim of insect bites is to prevent itching. Topical and oral antihistamines, calamine lotion, and topical local anaesthetic agents may provide relief. Generally, as only brief treatment is required, moderate potency topical steroids may be used to provide a faster effect.